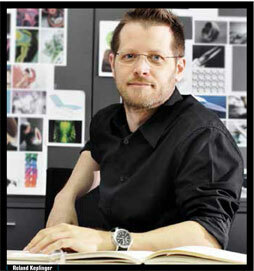 When an already renowned eyewear manufacturer like Silhouette brings on a new head of design, you can be sure that synergy between the parties is of utmost importance. Keplinger has been with Silhouette since early 2012. While the Titan Minimal Art redesign was already underway, he guided it to its launch one year later in the spring of 2013. The collection was first revealed to the public in January and highlighted at MIDO in March. What the new Titan Minimal Art reveals is an edgier, more masculine style, in a revision of the groundbreaking materials Silhouette is known for. Feel Lite, Show Style is the promise of the Silhouette eyewear brand, and they’ve been fulfilling that promise with the world’s lightest eyewear for almost 50 years. With Keplinger heading the design team and a new Titan Minimal Art on the market, there’s no stopping this eyewear dynamo.